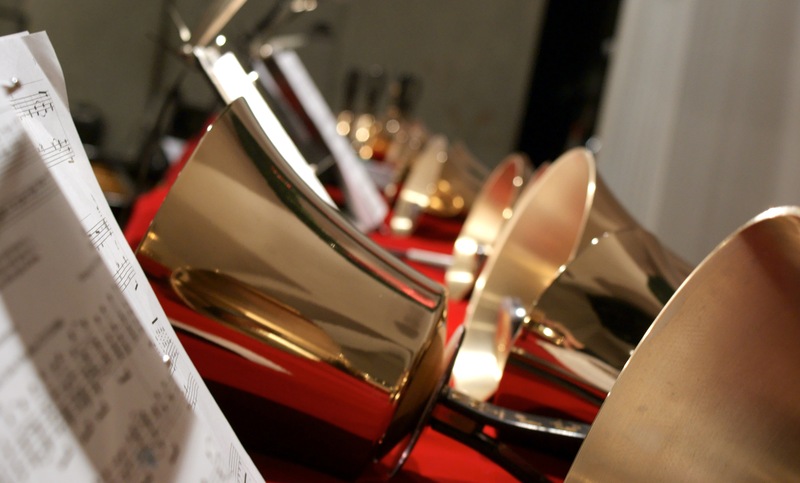 Unlike an orchestra or choir in which each musician is responsible for one line of the texture, a handbell ensemble acts as one instrument, with each musician responsible for particular notes as they appear in the music. English handbells are tuned, with each bell analogous to a key on a piano. 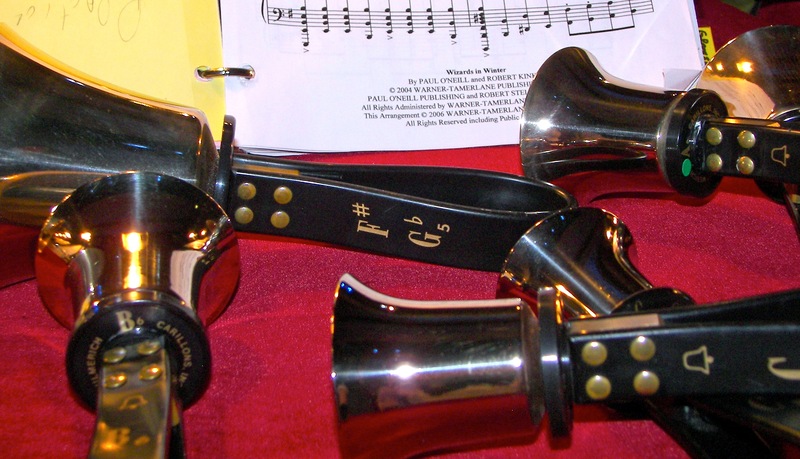 The clapper on an English handbell is on a hinge and moves back and forth in a single direction, unlike a school bell in which the clapper swings freely in any direction. Additionally, the shaft of the clapper is rigid, such that the bell may be held with its mouth facing upward. In addition to ringing, numerous techniques specific to handbells have been developed, including placing the thumb against the bell while ringing for a staccato sound, striking the bell against a padded table for a quickly dampened sound, gently touching the rim of the bell against a table after ringing to allow the sound to decay in echo-like stages, as well as using a variety of mallets to strike bells hanging or laid on the table. The first tuned handbells were developed by brothers Robert and William Cor in Aldbourne, Wiltshire, England between 1696 and 1724. Originally, tuned sets of handbells, such as the ones made by the Cor brothers, were used by change ringers to rehearse outside their towers. Rather than standing for hours in a drafty tower, they could sit comfortably indoors while they practiced the complicated algorithms of change ringing. The handbell sets used by change ringers had the same number of bells as in the towers — generally six or 12 tuned to a diatonic scale. Handbells were first brought to the United States from England by Margaret Shurcliff in 1902. While some U.S. handbell choirs do use bells made in England, “English handbells” is a reference to the type of instrument rather than the country of origin. The majority of U.S. handbell musicians play bells made either by Schulmerich Carillons or Malmark Bellcraftsmen, both located in Pennsylvania. The Handbell Musicians of America is the North American professional association for handbell ringers and directors. Bells of the Cascades is a proud member of the association. Our ensemble currently plays on six octaves of Schulmerich bells, with another four-octave set of Schulmerich bells for doubles. In addition, Bells of the Cascades plays seven octaves of Malmark Choirchime® instruments, with another five-octave set of Malmark chimes for doubles. A large number of percussion instruments round out our ensemble’s artistic presentation. Our smallest handbell, a G8 (four and a half octaves above “middle C”) weighs just 7½ ounces, while our largest bell by weight, the G#2, comes in at nearly 10 pounds alone.